A place to talk about teaching ideas, strategies, and whatever else comes up. For now, I am sorry but Eraserdog.com is "dead". About 6 years ago I set out on creating a webpage that would help me to learn new programming skills and hopefully help teachers and students with a variety of math worksheets. As time passed, I did not have as much time to update and improve Eraserdog, not to mention the costs were increasing each year, I began to wonder how long I would continue the website. When the server company switched to a new version of a database I knew this was the "nail in the coffin" for now, so I cancelled my contract with the server. Perhaps one day, I will bring back Eraserdog. 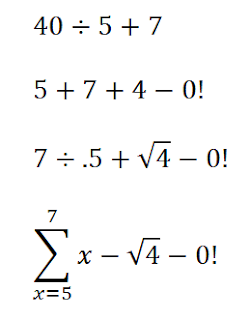 Fortunately, there are many good websites that have math worksheets, I merely tried to do things a little different. Will Schools Ever Be Ready For Cell Phones? For many students, cell phones are the new drug of choice. The try to stay in control but eventually for many their willpower isn't strong enough and they have to take a peek. Whether they look in their bag, under the bag, or in their lap the eyes always give them away. The potential to use phones in education could be staggering and they say, "if you can't beat 'em join em", I just don't know if I'm ready along with most teachers. I have heard of teachers using phones as an asset... like using texting to pass along info in group settings in the classroom or sending homework help in the evenings. I am impressed with the scientific calculators that can be downloaded as an app... why not use a free one rather than spend $12 at the store? Unfortunately, I fear the kid that will looks like he/she is using the phone as a calculator but really is texting. I doubt if I will ever be ready for cell phones in the classroom, but for now I sure am enjoying that new calculator I downloaded the other day. Linguists have issues with grammar in every day life just as I have issues with the decimal point. I can't begin to count how many times I see a store marking an item with 0.50¢. I make sure to have the decimal point discussion with students some time in the year. After the decimal point talk, most students catch onto the fact that if stores mark an item for 0.50¢ then we should be able to grab two of the items for a penny. 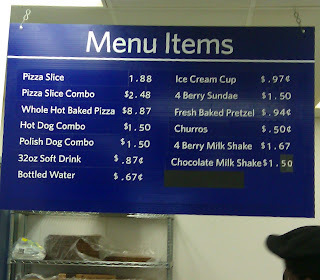 Of course it is either $0.50 or 50¢. 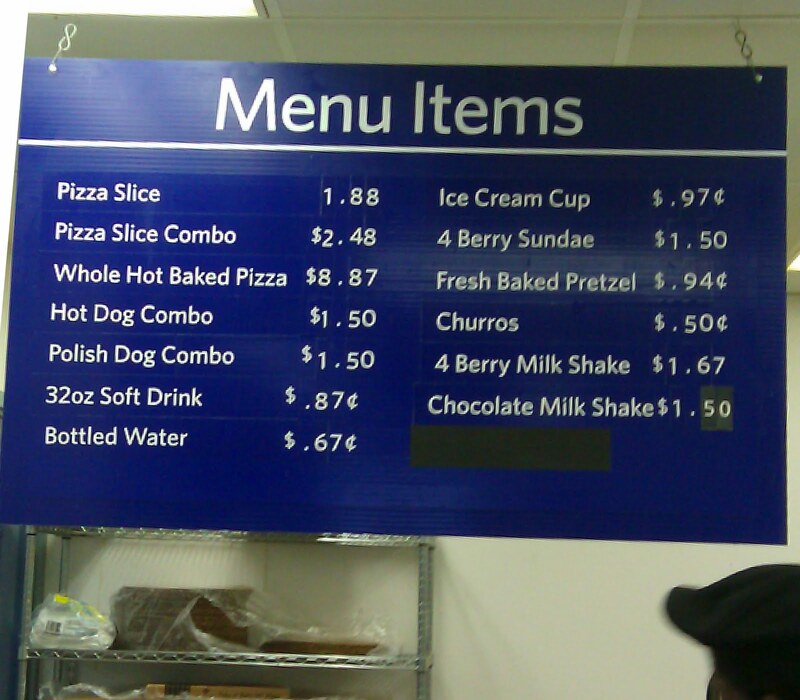 The other day in Sam's Club I saw a new one that caught me off guard.... Churros for $0.50¢ I am not sure what to make of both symbols at once. 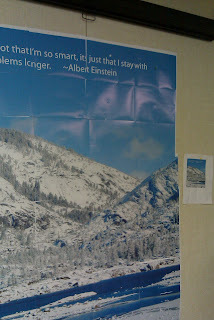 In my classroom last year I decided to try making a block poster. The concept is simple... upload an image and select the size of the Block Poster and it prints the image on mulitple sheets of paper. 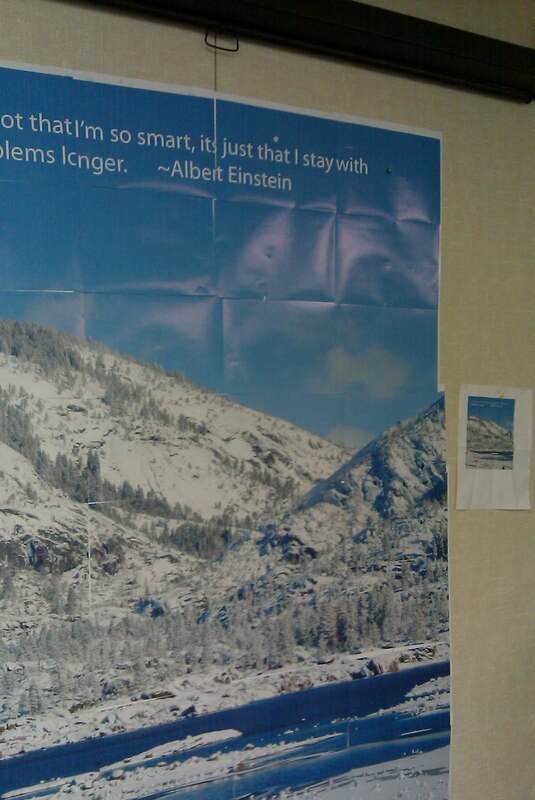 One problem is the amount of ink it can use up, but if you get a good image you like, it can make for a nice image on the classroom wall. I tried adding a quote at the top of a nice looking picture, but realized I should have made the letters even larger to stand out. 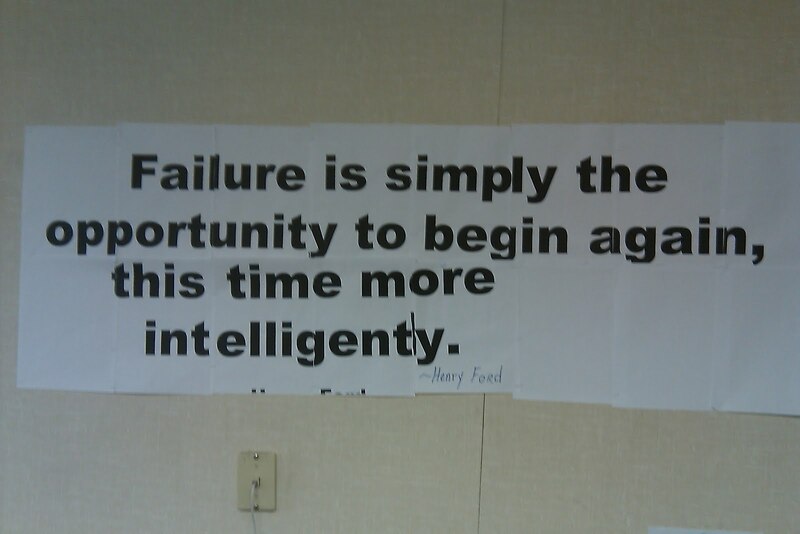 This year one of the quotes I printed out at http://www.blockposters.com/ and put on my wall, some of the students informed me I spelled Intelligently incorrect... they had a good LOL (I later added the 'l' with a black marker). In education we departmentalize teaching multiplication of decimals, then percents, then adding fractions, then dividing fractions.... By the time we have moved onto prime factorization the average student has forgotten how to find 15% of 30. There are many strategies such as reviewing, warm ups, spiraling that can help. One of many teaching strategies of not compartmentalizing math is KRYPTO. Putting 4 random digits on the board such as 5 0 7 4 can keep students reaching for new methods mixed with old. Just because factorials are not taught in 6th grade does not mean students shouldn't be introduced. The more strategies you learn the more chance you have of success (for example 4 divided by .5 equals 8 confuses students but being able to use it as a "weapon" in KRYPTO empowers the student), not to mention KRYTO is endless (using a little creativity and math knowledge 0 0 0 0 can even be done) and can teach the rule attributed to various chinese philosophers, "The journey of a thousand miles begins with one step" or perhaps "The journey of a thousand KRYPTO's begins with ones first attempt". KRYPTO Rules: You must use all 4 numbers only once and any mathematical symbols and letters are fair game. I tell my students that a math teacher walked in they must be able to evaluate the expression equal to 15, and of course 3 + 5 + 8 - 1 is the same as 5 + 3 + 8 - 1 of course this is a good teaching opportunity to discuss the commutative property. Here are some answers to 5 0 7 4 can you find more?